ConceptDraw DIAGRAM extended with Organizational Charts Solution from the Management Area is a powerful but easy-to-use Organizational Structure Diagram Software. Organizational Charts Solution provides a wide variety of templates and samples and large quantity of predesigned vector objects to help you design your Organizational Structure Diagrams and other business diagrams. You can also use various vector clipart from other libraries of ConceptDraw Solution Park, fonts and colors from the ConceptDraw color palette to make your diagrams more visual, bright, attractive and successful. Look on these samples - how beautiful and attractive they are. They will have a great success on presentations, conferences, and so on. 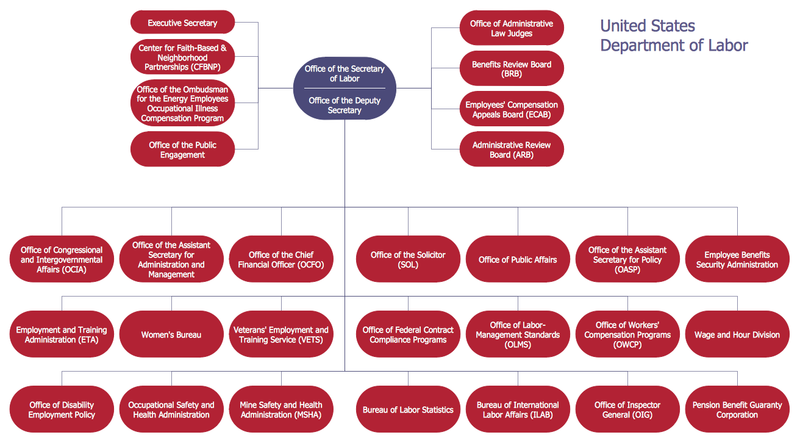 The Organizational Structure Diagrams you see on this page were created in ConceptDraw DIAGRAM using the Organizational Chart Library from Organizational Charts Solution. An experienced user spent 10-15 minutes creating each of these samples. These samples are available from ConceptDraw STORE. 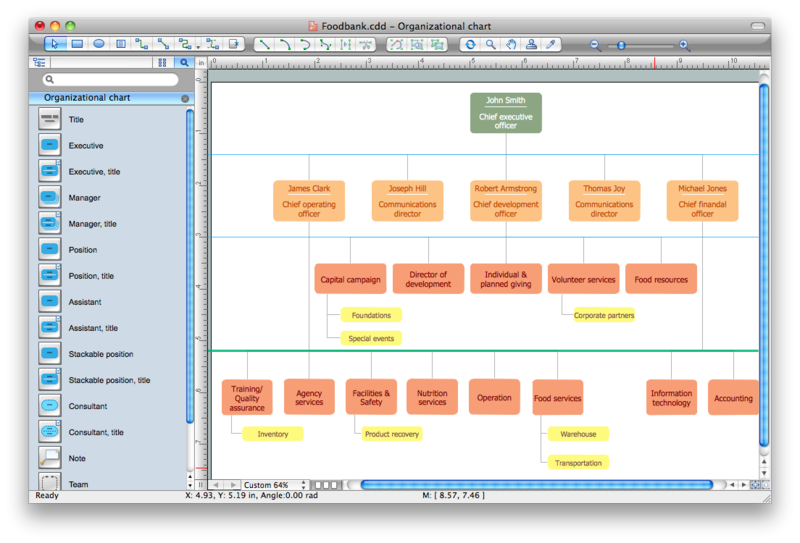 Use the Organizational Charts Solution for ConceptDraw DIAGRAM to create your own Organizational Structure Diagrams of any complexity quick, easy and effective. The Organizational Structure Diagrams designed with ConceptDraw DIAGRAM are vector graphic documents and are available for reviewing, modifying, converting to a variety of formats (image, HTML, PDF file, MS PowerPoint Presentation, Adobe Flash or MS Visio), printing and send via e-mail in one moment. Different organizations have different organizational structures. Matrix organization is one of the most popular and widely used type of organizational structure. Use ConceptDraw DIAGRAM v12 diagramming and vector drawing software extended with 25 Typical Orgcharts solution from the Management area of ConceptDraw Solution Park for fast and easy designing matrix organizational chart for your company.